When it comes to choosing the best deck tile flooring, there is no shortage of designs, and materials to choose from. However, you want to keep in mind that no type of tile is perfect for every space, and this is especially true for outdoor space. Consider tile hardness, porosity, slip resistance, quality, luxury, and ease of installation. To help you with your outdoor renovation flooring decisions, we have compared five top level products on the market, so you don't have to. 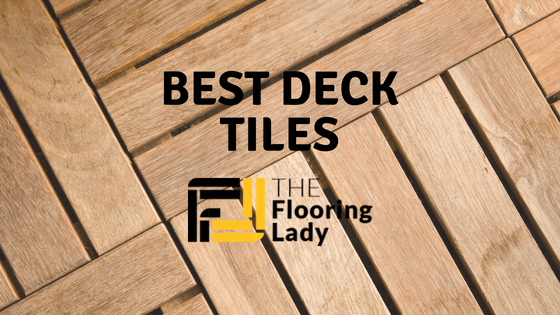 Keep reading for a helpful guide to the best deck tile flooring of 2018. When you need a genuine teak wood tile, you can’t go wrong with home flooring brand Bare Décor. 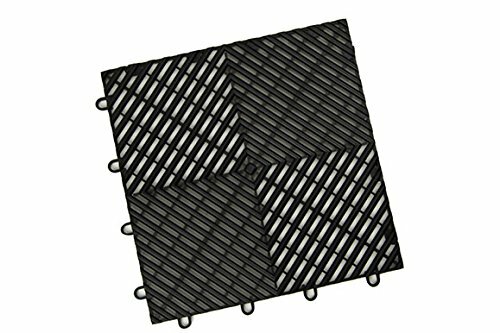 Not only are these interlocking tiles easy to install, but absolutely no tools or glue are required. 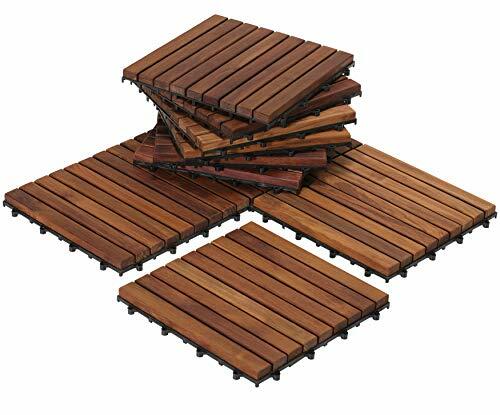 Bare Décor Interlocking Floor Tiles come in a natural solid teak wood finish. No tools or glue are required for installation. Just snap these interlocking tiles together for instant transformation of your space. 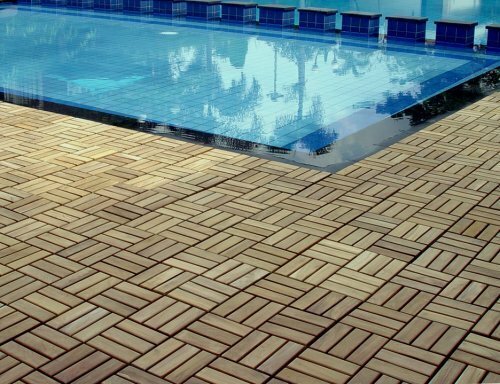 Perfect for indoor and outdoor settings, these interlocking teak tiles look great in pool areas, bathrooms, showers, terraces, decks, mudrooms, entryways, and everywhere in between. Remove and relocate these tiles as needed. Bare Décor’s teak interlocking tiles are crafted from solid hardwood, meaning that scratches can be sanded out. Tiles arrived just as advertised and are very easy to install. The tiles can be oiled and sealed at your leisure but this is not required. 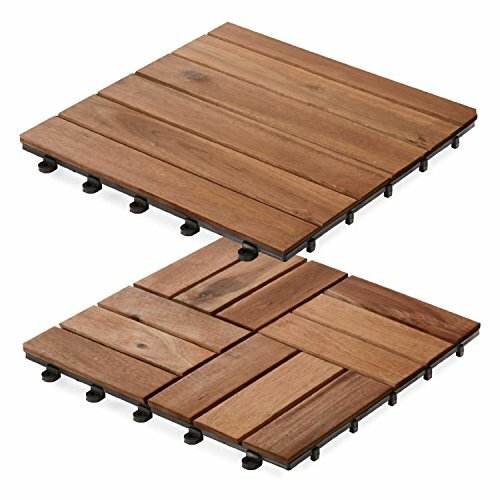 This product has a ¼ inch gap between the teak wood pieces, revealing the plastic that holds them together. Although these tiles are made from good materials, it leaves them looking cheap. Others experienced heavy fading and warping after a year of use even with consistent wood treatments. 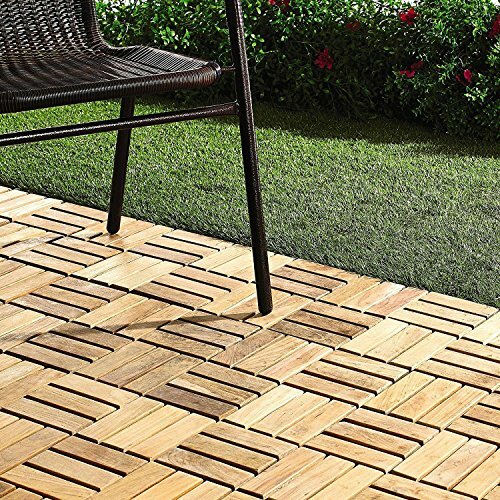 Whether you are upgrading your poolside, balcony, or traditional garden space, Casa Pura Patio Pavers gives you the tools you need for easy maintenance and long-lasting tile floor. 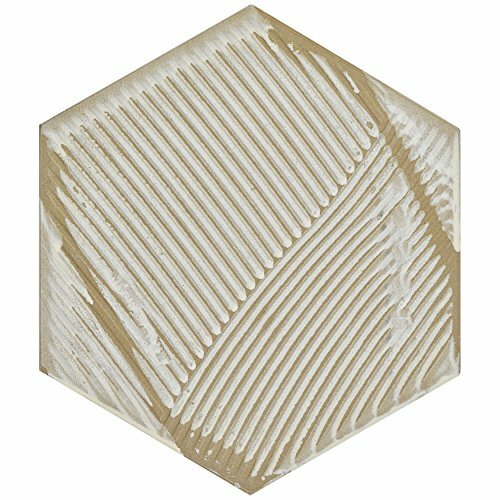 Consider all-natural acacia deck tiles for your next home flooring project. Casa Pura Patio Pavers Deck Tiles are crafted from real acacia wood. This is an essential component in durability and water resistance. Resistance to dents and scratches will help your deck look good all year round despite heavy foot traffic. 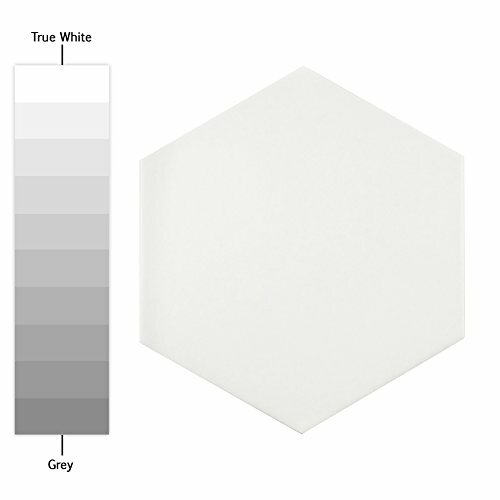 Tiles that are well maintained will remain resistant to harmful UV rays and hold their color. Anti-slip properties provide a secure and safe surface to walk on even when the wood is wet. Even without an anchor, these tiles are durable and resistant to slipping and movement after installation. While the wood is of high quality, the plastic backing can deteriorate over time. As this happens, tile moves and become a tripping hazard. These tiles did not hold up to the test of time. Plastic deteriorates and causes a safety hazard. When you need ultimate slip-resistant in your garage, consider IncStored Grid-Loc Garage Flooring. Durable enough to handle heavy vehicles, this product also has the resistance to stand up to the spills and stains that are prone to harsh environments. The Grid-Loc Coin series is designed specifically for harsh environments, such as those encountered in garages. 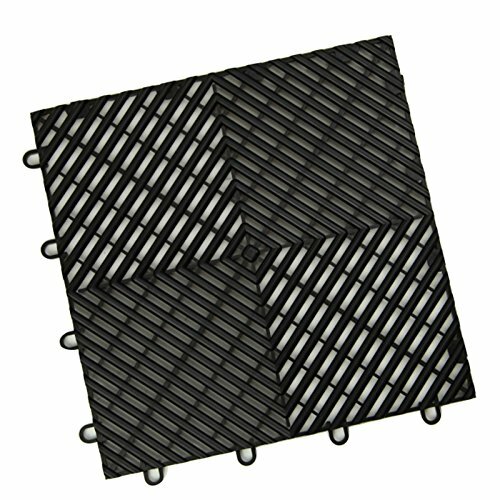 These plastic tiles are built to withstand heavy rolling vehicles and are resistant to petroleum products, antifreeze, grease, oil, and other types of household chemicals. These garage floor tiles are also UV stable, slip-resistant, odorless, and stain resistant. They are priced low for volume sales and backed with an industry leading 12-year warranty when used in a modular garage. I like how easy this product was to assemble. 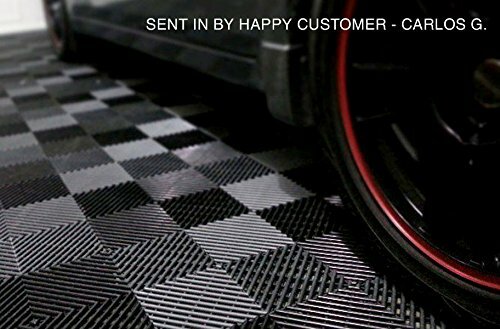 It’s sturdy enough to drive on, does not leave tire marks, and is incredibly easy to clean, making it the perfect garage floor tile solution. Plus it comes in a ton of color choices for complete customization of your area. As a garage floor tile, I had little to no complaints about this tile. In particular settings, there was movement, so it may be beneficial to use a product underneath to help with the sliding and deadening the "plastic sound," which some consumers found unpleasant. Need a mid-range yet beautiful teak flooring tile finish? 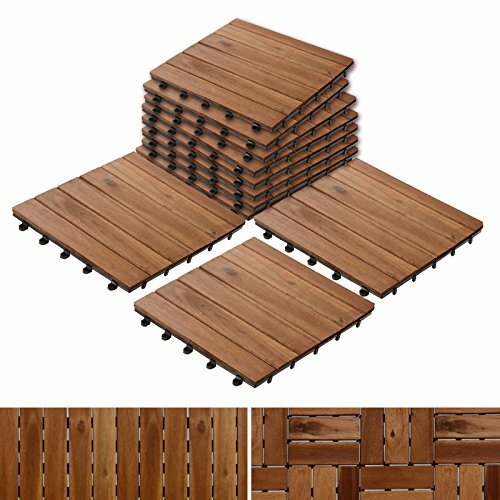 Le Click Interlocking Teak Flooring Tiles are readily available to you with a natural finish and easy installation. That's right, no tools are required. Take a look at what the Le Click brand has to offer to learn more. 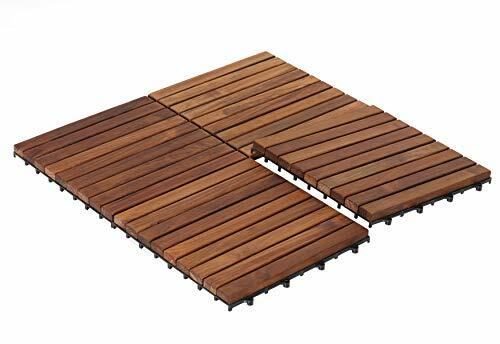 Crafted for indoor and outdoor use, teak interlocking floor tiles by Le Click are easy to use and snap together. They are the perfect solution for yards, decks, poolside, boats, bathrooms, showers, terraces, rooftops, and so much more. A box contains ten tiles which cover almost 10 square feet (11.8" x 11.8"). This tile installation couldn't be easier. Just lay them out and press or step to snap them into place. 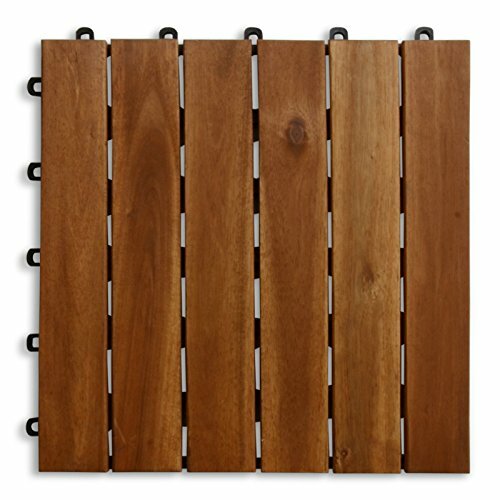 The spaces between the teak slats allow drainage and water runoff. The surface is smooth, and the finish is beautiful. This product was built to last. The product is a bit on the expensive side, but there is not a lack of quality. I’d always recommend treating your wood before use in heavy moisture areas. When ceramic is your first flooring choice, you need a tile that stands up to the test of time. The SomerTile Porcelain Floor and Wall Tile’s classic design never goes out of style and is the perfect solution for indoor and outdoor applications. When you need classic hexagonal ceramic tiles, SomerTile Porcelain Floor and Wall Tiles are your number one choice. Used for modern floor and wall installations, as well as historical renovations, this clean, smooth glaze finish works great in medium duty residential areas. In addition, they are marginally skid resistant. 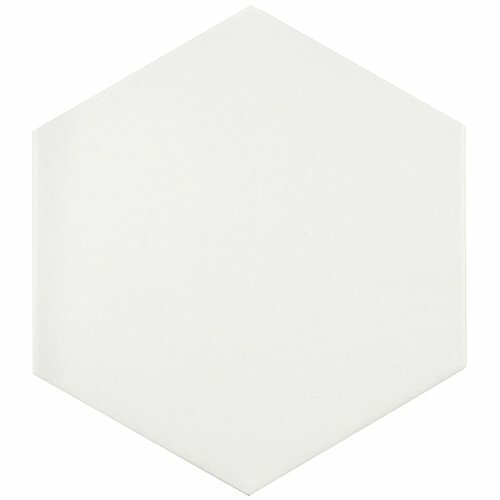 This beautiful hexagonal tile is the perfect solution for sheik, vintage, or modern looking settings. The product is high quality and performed well against the test of time. If you are looking for a high-end porcelain tile that doesn’t break the bank, this Porcelain Floor and Wall Tile by SomerTile is an excellent choice. This product is not readily installed without expertise and requires the assistance of a contractor. The porcelain is soft and glaze delicate, so it may not be recommended for use in high traffic areas. 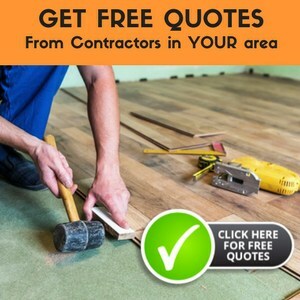 The tile that you choose for your home or business floor renovation will depend directly on how you will use the area, the environment, and how much traffic your tile will receive. 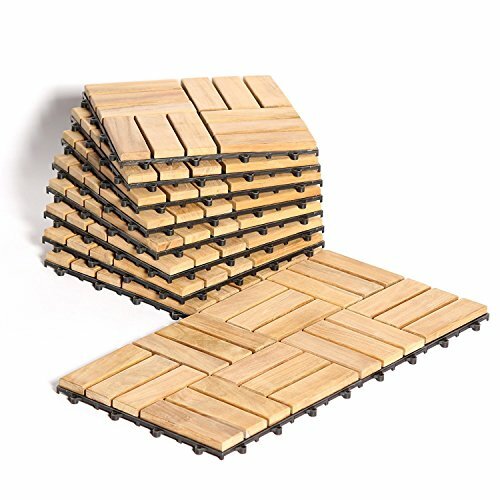 Based on our review of the above products, Le Click Interlocking Floor Tiles is the best wood tile choice. Not only can this product be used for indoor and outdoor areas, but it is also crafted from 100% natural teakwood and durable, supportive materials. Consumers that purchased this product loved its beauty, longevity, and ease of set up. No tools are required, as the tiles are interlocking and conveniently snap together. As a second choice, I recommend IncStores Grid-Loc Garage Flooring for areas that are exposed to harsh environments that are commonly encountered in garages.